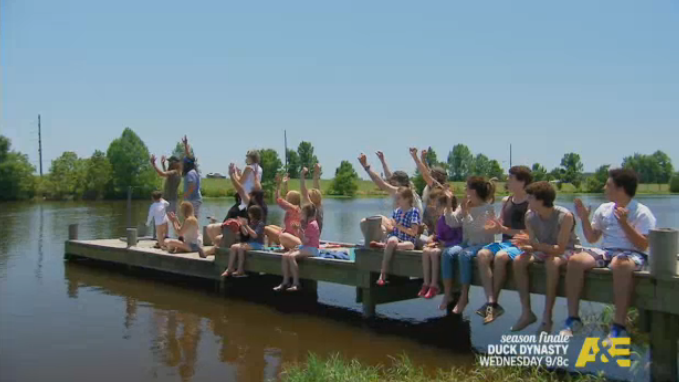 Tonight’s episode of Duck Dynasty features a special “Birthday Party” for Willie and the whole family gets together on Lake D’Arbonne for a special one-hour season ending episode. It features Willie getting a little wet and Jep trying to siphon gas from the Birthday boy’s SUV for a jet ski plus…oh well, if you want to know, tune in at 8 p.m. tonight on A&E. By the way, is that a racoon in the lake house, Phil?